Sun Spots with Hitch [Vol. 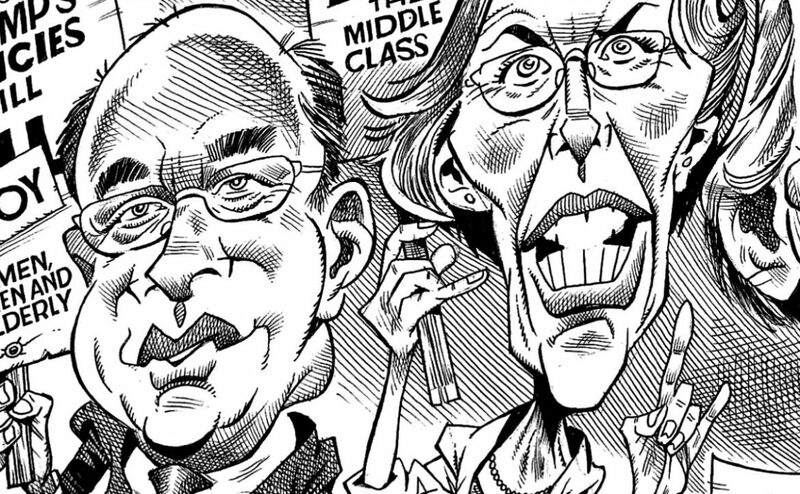 172]: Warren, McGovern and Markey — oh my! Republicans and Democrats have been taking aim at each other since long before Donald Trump commandeered the Oval Office. 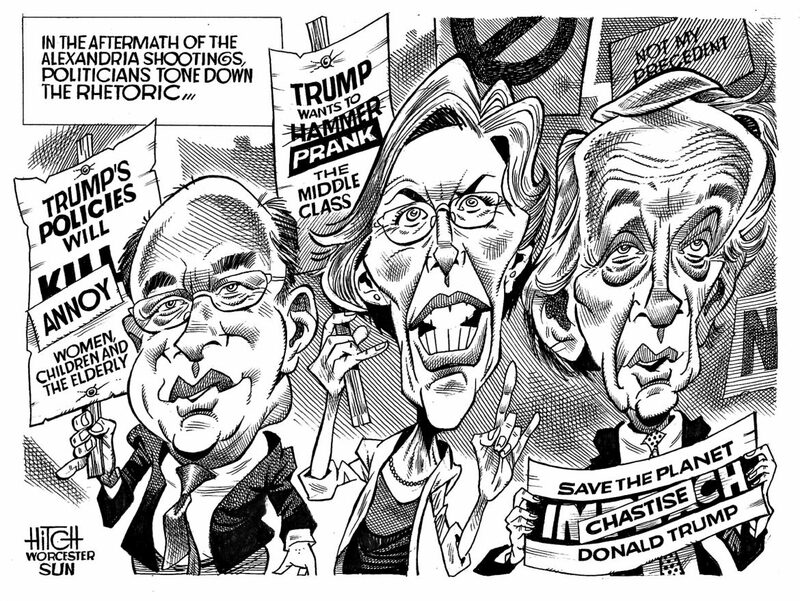 Of course, once President Business took over, liberals have sharpened their sights — and their rhetoric. Following the midweek shooting of GOP lawmakers and staff practicing for a congressional baseball game, though, the war of words among chief Trump antagonizers — and the bronzer-in-chief himself — appropriately took a knee. Still, Hitch was a bit surprised.